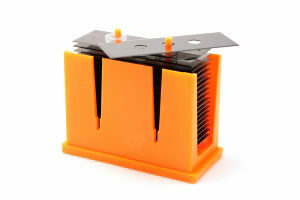 Is the excessive wear of blades due to mineral TiO2 familiar to you? Long lasting sharpness of a razorblade could have saved this roll. We are daily challenged by the innovations and problems in the film and foil industry to develop a cutting tool that corresponds to the requested properties of the film, to highest outputs and lowest manufacturing costs. For slitting very abrasive and though web material, the FORTIUS tungsten carbide blade might be the right choice for optimal results. In the continuous search to make the best even better, Fortisblades developed the Fortius + . Customers all over the world rely on FORTISBLADES to slit their web material. 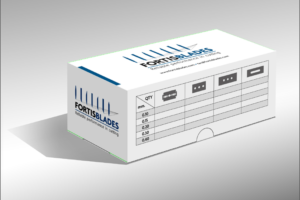 The FORTIBLADES toolbox is the robust packaging especially designed for the shipment of the razorblades safety boxes. 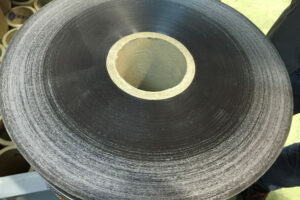 Film slitting is critically important in film production, especially with state-of-the-art tough films. 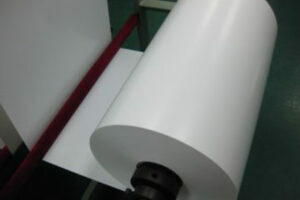 When performed well, slitting can provide smooth winding and less wrinkling of film. However, poor cuts can generate a series of many negative effects.